GMO & Hormone Free, Guaranteed to Arrive ALIVE! Choose From Five Species Below! 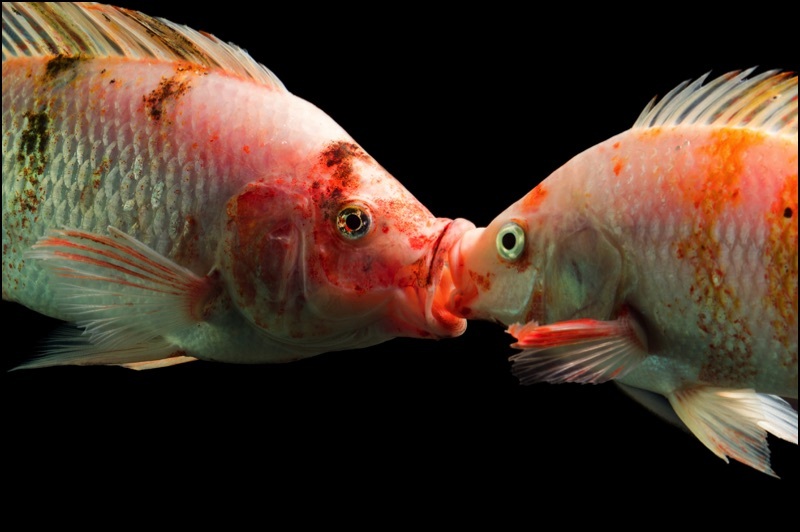 Tilapia is one of the most popular aquaponics farming fish for several reasons. They are one of the hardiest fish on the planet, which is a real plus for aquaponics farmers especially when they have never raised fish before. Tilapia can withstand all kinds of water quality issues including low pH, low oxygen levels, and high ammonia and nitrite levels. As a food fish, they are mild, tender and delicious and are becoming one of the most popular food fish on the market today. Blue Tilapia are considered to be the tastiest as well as the hardiest Tilapia to raise. 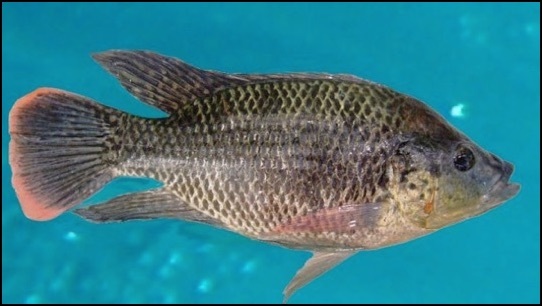 Tilapia also serves as a natural biological control for most aquatic plant problems. Tilapia consume floating aquatic plants, such as duckweed, watermeal, most "undesirable" submerged plants, and most forms of algae. 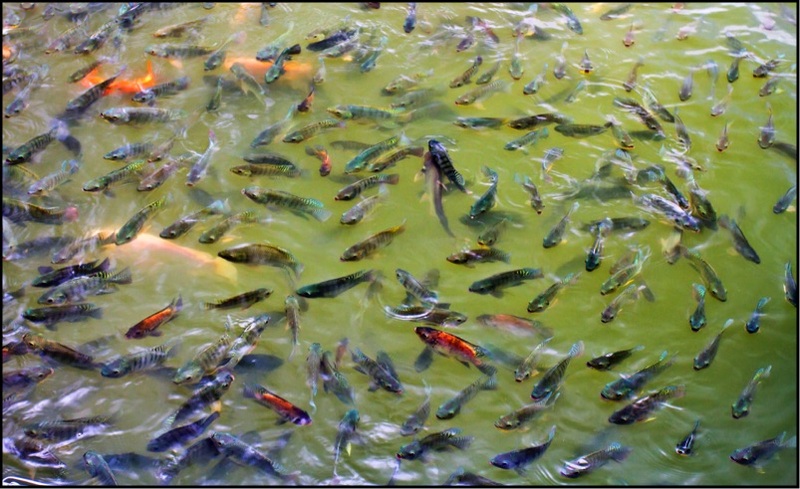 Tilapia rarely compete with other "pond" fish for food. Instead, because they consume plants and nutrients unused by other fish species and substantially reduce oxygen-depleting detritus, adding tilapia often increases the population, size and health of other fish. 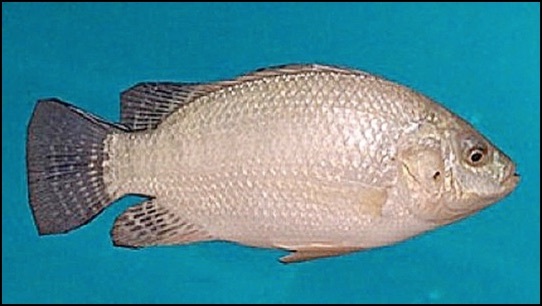 However, some states don’t believe that is true and have labeled Tilapia an invasive species. California is one of those states. In California, Mossambicus Tilapia can be raised because they can’t survive in natural waterways during winter temperatures. Both Blue Tilapia and Nile Tilapia, which are cold water resistant, are restricted in California. Florida, for example, only allows Blues. Illinios requires a special permit, so we cannot ship to Illinois. So before you order fish, you need to do some research to discover what your state’s or county’s Fish and Game Dept. regulations are in relation to Tilapia. It is up to you to know your state's regulations as we ship to all states except Hawaii, and if restricted, they may be confiscated upon arival in your state. You're shipment will contain about a 50/50 male to female ratio, and once they are of mating age, you'll witness this incredible mating dance. Talk about sucky face behaviors. Tilapia have them coming and going. The larger one on the left, which is the male is placing his huge lips over the lips of the smaller one on the right, which is the female. Once he gets a good grip, he begins dragging her around the tank like an apache dancer, which sends the fish water flying all over the place. Somehow, this ritual ends in her swimming into one of the fish condos sitting in the bottom of their tank and laying her eggs. Then he fertilizes them. We use a state of the art Hatchery that raise their Tilapia on a high protein Non-GMO diet to ensure they are a high quality fish that grow rapidly. You will receive a sustainable, reproducing colony with approximately a 50/50 male to female ratio. Here’s the Shipping Story: The Hatchery carefully packs your fish for shipping in a special shipping container with the exact amount of water and oxygen necessary to insure their guaranteed live arrival. There is no extra charge for this intricate packaging required to keep your fish healthy and as stress free as possible during shipping. During the winter months, when temperatures are on the low side, they also place a special heat pack in the container just to make sure your fish travel safely and comfortably. You will most likely receive a few extra fish to take care of that rare situation when a couple of them don’t make the transit alive. Mixed species orders will be shipped in the same bag so as not to incur extra shipping charges. If you want to mix species, please send us an email (or call) explaining the mix ahead of time and once we respond or talk with you then order the total quantity of one of the species in the mix. Make sure all species are currently available. Shipping: Shipping is via UPS 2nd Day Air and the cost is included in the price. Shipping occurs on Monday through Wednesday in order to make sure you receive your fish before the weekend. The fish are usually in stock but sometimes they are not big enough to ship so there may be as much as a week or two delay. Out-of-stock or delayed conditions for specific fish will be posted on this page as soon as we have the information and can do so. Important! You will receive an email from Aquaponics USA with tracking information once the fish have been shipped. Someone must be able to receive the fish. If no one is there when delivered, then a notice will be left and they can be picked up at the UPS terminal that evening. If they are not picked up then delivery will be attempted the following day unles it is a Friday. It is best if the fish are received and cared for on the first delivery day as the live guarantee is good only for that day. You are resposible for either being at the shipping address when delivery is made or picking up the fish at the local terminal later that day. Important!! During cold weather (below +40 degrees F) there will be a delay in shipping until the temperature is high enough to insure safe delivery. Fish will not be delivered to Alaska in the winter. Each fish you receive will be a ½ to 1½ inch long fingerling. Notice: Due to Hawaii and Illinois State Regulations, We Cannot Ship to those states . The Blue Tilapia (Oreochromis aureus) is a freshwater fish with a high tolerance for brackish and colder water. Adults are usually 15 to 18 inches in length and weigh 5 to 6 pounds. The largest recorded specimen was more than 21 inches long and weighed more than 10 pounds. Blue Tilapia are mouthbrooders, and broods range from 160 to 1600 eggs per female. Blues are the fastest growing Tilapia in cold water, down to 60 degrees F.
Make sure you are ordering the Batch Quantity you want when you Click the Add to Cart Now Button. Red Nile Tilapia (Oreochromis niloticus) is a relatively large cichlid fish. The adults reach up to 24 inches in length and up to 9.5 pounds. It lives for up to 9 years. It tolerates brackish water and grows in temperatures between 70 and 95 °F. They are fast-growing and give good fillets! Make sure you are ordering the Batch Quantity you want when you Click the Add to Cart Button. 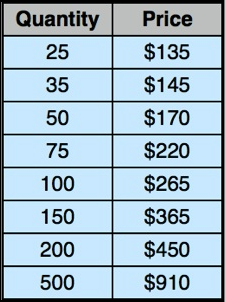 Note: All prices below are pre-pay. 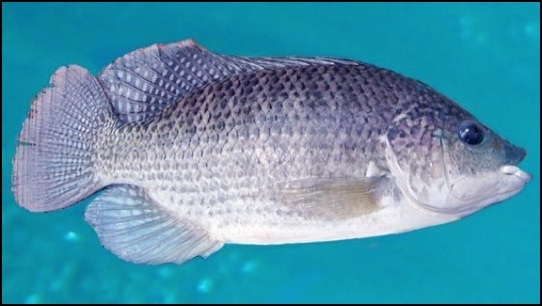 Mozambique Tilapia (Oreochromis Mossambicus). Our line of Wild Color Mozambique Tilapia is 100% pure. They are extremely disease resistant and very prolific breeders. These are perhaps one of the easiest strains to breed. They reach reproductive maturity at 3.5-4 months of age. An excellent selection for systems that experience extremely hot Summer temperatures. Performs well in both freshwater and full strength sea water. 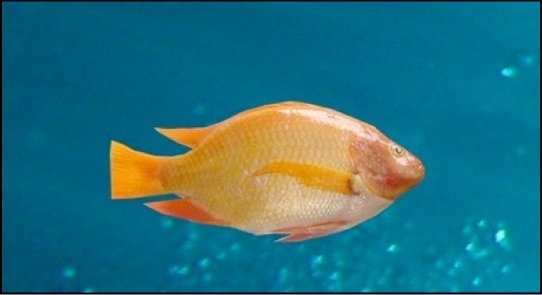 Hawaiian Gold Tilapia, (Oreochromis Mossambicus), can exceed 16 inches in length as an adult, and grows really fast. 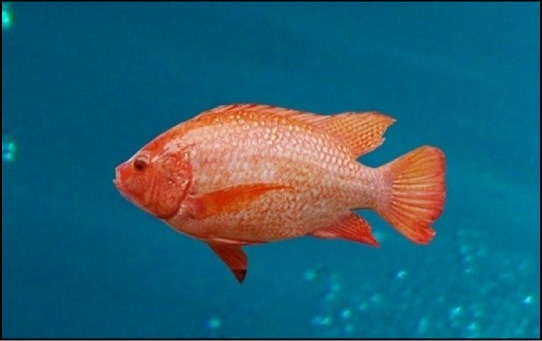 The Hawaiian Gold tilapia is known to tolerate temperatures from 75 degrees F to 98 degrees F, and they are also very tolerant when it comes to poor water quality, pollution and oxygen scarcity.